And then realize you’ve made a mistake. There’s nothing worse than having to go back through the motions of correcting a document you thought was complete. Writing well is both an art and a science. Some people just have a gift for prose. Others need consistent practice to be proficient and a great many pay people like me to do it for them. If you can’t afford a ghost writer or don’t already have the gift, follow these simple tips to improve your writing today. In the interest of disclosure, I learned this the hard way. It’s easy to let the sound of your fingers click-clacking over the keyboard get addicting. My name is AJ and I am was an addict. I once successfully convinced an editor to let me write an additional 200 words (to a piece that was already more than 1,000 words). But I digress. The common reader cannot digest tons of information at one time. In the age of the tablet and smart phone, longer pieces are increasingly harder to read – and not always pleasing to the eye. 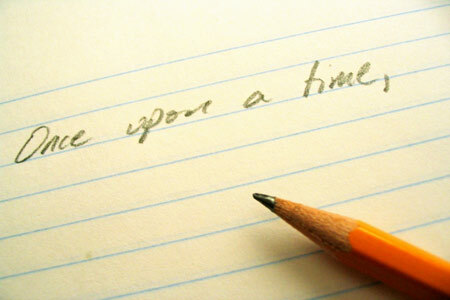 Unless you’re writing a novel or an investigative piece, keep your writing clear and concise. “Posit,” “intersectionality” (which is coming up in red on my word document), “we call for,” “subsequently” etc. all have a place in a scholarly arena – though there’s an argument to be made that writing dense material is counterproductive. If your $5 word is appropriate and appreciated, let it fly. In 1935, William S. Gray of the University of Chicago and Bernice Leary of Xavier College in Chicago published What Makes a Book Readable, one of the most important books in readability research. Like Dale and Tyler, they focused on what makes books readable for adults of limited reading ability. The book included the first scientific study of the reading skills of adults in the U.S. The sample included 1,690 adults from a variety of settings and areas of the U.S. The test used a number of passages from newspapers, magazines, and books as well as a standard reading test. They found a mean grade score of 7.81 (eighth month of the seventh grade). About one-third read at the 2nd to 6th-grade level, one-third at the 7th to 12th-grade level, and one-third at the 13th to 17th grade level. It’s easy to miss things (i.e. punctuation or an extra letter) on a computer screen. Proof read with a hard copy in-hand. Reading you work out-loud will help you catch additional errors and correct awkwardly worded sentences. No matter how meticulous you are, it’s easy to read right over errors if you know what a document is supposed to say. Get at least one editor to look things over. At an office I used to work at, four sets of eyes were required to edit a document before it was published. It cut mistakes down. Did I miss something? What are your tips for writing well?